Maximum Possibilities, easy to use: play-back everything! With Max2Play, you are able to play your favourite music in all of your rooms, simultaneously. It allows for simple and comfortable control and configuration of single board computers like the Raspberry Pi directly via any local internet browser (using laptop, PC or smartphone). This makes the connection of a mouse, keyboard or screen obsolete. Max2Play lets you render all established audio formats. 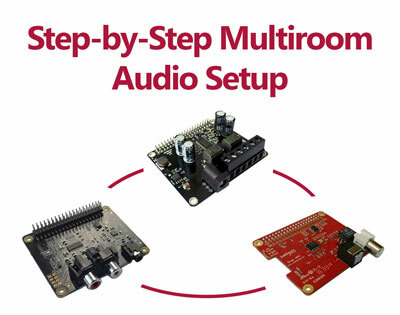 In addition, we offer special Max2Play Plugins for the most popular Raspberry Pi sound cards. 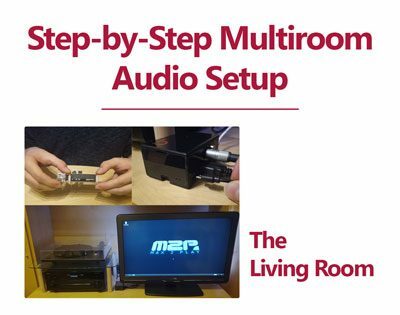 A simple multiroom audio setup is one of Max2Play’s major application fields: we use a Squeezebox Server to set this up in order to be able to integrate all pre-existing Squeezeboxes into the multiroom system. Max2Play uses KODI and enables the playback of HD videos. Max2Play consequently allows both audio and video playback on one system. Max2Play is both server and player at the same time. This means you can install a Squeezeserver locally on your Max2Play device (e.g. Raspberry Pi) and use our mounting tools to easily mount your whole local music library. Additionally, the device can be used to play back music. Aside from local files, you can use streaming services like Spotify or stream music via AirPlay or Bluetooth. We also offer various plugins for home automation sector. Individualize your Max2Play and select from over 30 Plugins for your perfect setup (including Bluetooth, Access-Point). We offer the ideal hardware, especially bundles for our software. All devices are tested by us, optimally supported by the software and reach you preconfigured. We enhance Max2Play constantly, develop new Plugins and optimize the existing ones. You can participate in this process in our forums and leave requests and suggestions. Max2Play is free and can be downloaded on our website. In addition, we provide a premium license: for premium support and special Plugins. With this license, you also actively support the evolution of Max2Play. In our quarterly magazine we keep you up to date on our current developments. You can also read all the previously released magazines. Max2Play provides the perfect platform for your own creations. Build your own web interface with the simple tools of Max2Play for your project. "Now I can setup my entire project(!! ): 5 Pis with all media saved on a Synology DS212. Thanks Max2Play for providing the base. You are awesome." "Since I’m coming from Squeezeplug to Squeezeplug & Max2Play, I’m all in for everything Squeeze. 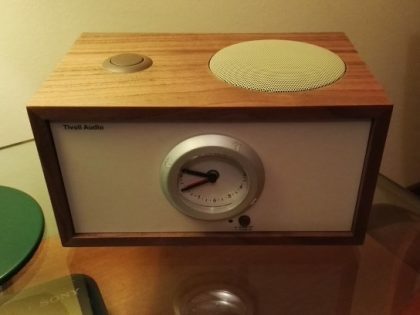 I just configured the SP&M2P on a Rpi2 with Premium license and an iqaudio Pi-DAC+ – and yay it’s hard to wipe the grin off my face since then 🙂 Beautiful job you did here, truckloads of kudos!" "I really enjoy your great piece of software. It’s more than easy to use and does exactly what it should." I can play the vortex muxic but not the qnap since I m not able to configure is the QNAP NAS" mount point" but probably is because Im not a linux expert....I will play a bit more. and in case I will ask for a little help. "I just wanted to say what a great application! 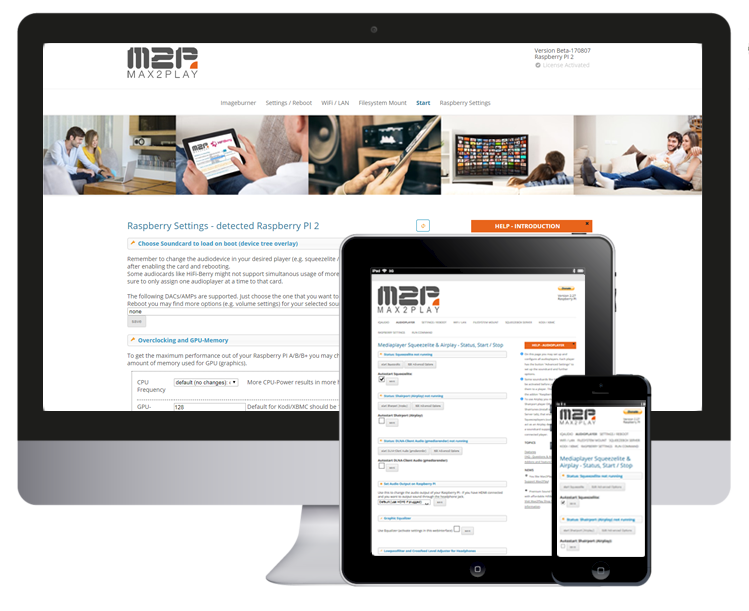 Max2play is a perfect partner for your Raspberry Pi to develop a high quality Squeezebox multi-room sound system, simple and quick configuration through the Web interface, with great email support from the Max2play Support Team." 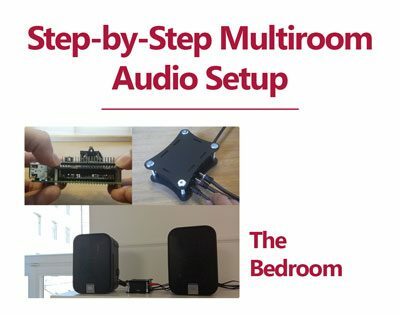 First article in the „Step-by-Step Multiroom Audio with Max2Play“ series: detailed instructions on how to assemble and set up your budget Multiroom system. 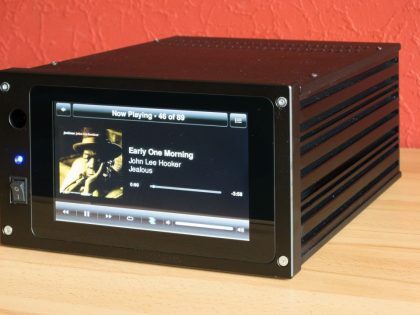 Multiroom Audio System in the bedroom: Turn Raspberry Pi and DAC HAT sound card with active speakers into audio server, multimedia player and control panel. 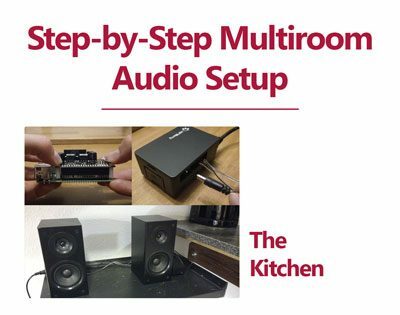 Multiroom Audio System in the kitchen: Turn Raspberry Pi and Amp HAT sound card with passive speakers into audio server, multimedia player and control panel. 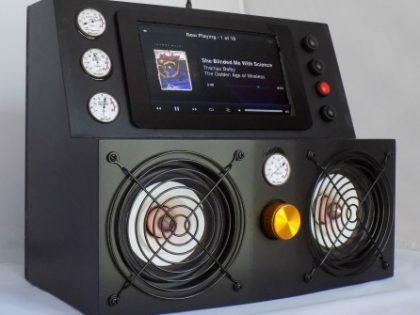 A DIY project by Joe Jaworski with Raspberry Pi 3, HiFiBerry DAC+ and Max2Play, the Jetsons Music Box using Squeezebox multiroom. 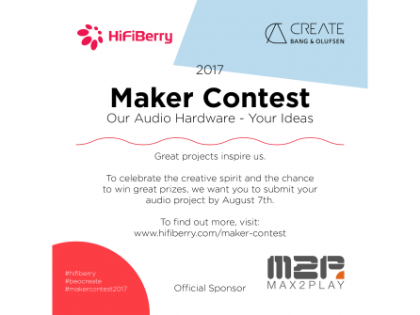 Inspired by the creative audio and DIY community, HiFiBerry and Bang & Olufsen Create want your projects for their “Maker Contest 2017”.